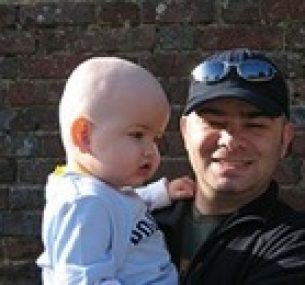 My name is Toby Whitesman and I’d like to tell you a little about my son, Joshua, and his battle with leukaemia. We live in Ashford in Kent. My wife Pippa and I have two lovely children, Amber, 8, and Joshua, who has now turned five. 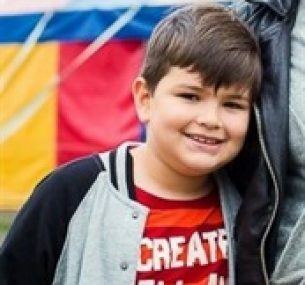 For the last four years, it has felt like the whole family has been fighting Joshua’s leukaemia every step of the way. When Joshua was 18 months old, and Amber only four, our world was turned upside down. Joshua was diagnosed with leukaemia. It wasn’t as sudden as that sounds – there had been signs that he was unwell. He had unexplained bruises, was listless and developed a rash. We visited a lot of health professionals but it was a trip to A & E that confirmed our suspicions that something was very wrong. It was surreal – I’d dropped Pippa with Joshua at the entrance to A & E whilst I went to find a parking space. I went to find them only to discover that Joshua had already been admitted. Just 40 minutes later we were told that Joshua had leukaemia. Our local hospital wanted to send Joshua to Great Ormond Street Children’s Hospital up in London. Unfortunately he also had the rotavirus – a severe stomach bug – which meant that he would be a danger to the other children there. Instead we went to Addenbrooke’s in Cambridge where Joshua would spend 12 weeks having his first chemotherapy treatment. Cambridge is a long way from Ashford. Amber had started school only the week before and we had to split up our family. I went up to Cambridge to be with Joshua whilst Pippa and Amber stayed in Kent so that she could at least continue with school. It was just so hard to be apart from each other. Joshua became very unwell in hospital – he lost 17lbs in three weeks, a huge amount of his total weight. It got to the stage that he couldn’t support his own head, so I’d sit on the bed with him, cross-legged so that he could at least sit up by leaning on me. Joshua ended up being fed through a tube for a whole year, whilst taking a whole variety of chemotherapy medications and steroids as he battled through. The next three years of our lives became daily chemotherapy, hospital visits and constant worry. We are truly grateful that after three years, three months and three days of treatment, Joshua went into remission. He started school during his treatment. Although he was often not there and is still extremely tired, he has a great circle of friends. We know he’s had a good day when he tells us he got to play with the Marble Run in his classroom! 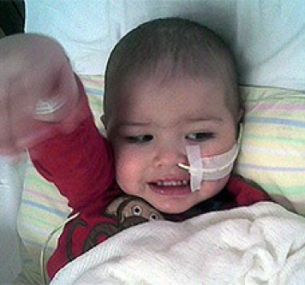 Although Joshua is ‘better’, the leukaemia treatments have had a lasting impact. Because Joshua was tube fed for a whole year at a key stage in his development, he still really struggles to eat. He never learned how when other children his own age did – so we still have a lot to do to encourage him to get involved with food and take in the calories he needs. Joshua is also having intensive physiotherapy. One of the chemo drugs he took can have the affect of shrinking a child’s Achilles tendon. This doesn’t happen to all children, but it has left Joshua with problems walking. He can only comfortably walk on his tiptoes. We live an eight minute walk from his primary school. We have been told we need to make him walk to try and help his feet recover. It’s not easy. When I’m bringing him back from a day at school and he’s sobbing because he’s in pain and exhausted, it’s all I can do not to pick him up and carry him home. It’s been a very long four years for my family, but we do now feel that we are on the home straight. We know how lucky we are that Joshua is clear of his cancer, though we are now learning to live with the after-effects of treatment. Donations are what make medical advances in treatment possible and help more children, like our Joshua, to survive.